Another Thursday, another Throwback. As I mentioned last week, my interest in historical costuming started with the renn faire, so my early things were all renn wear. Both of these dresses were inspired by Jen Thompson of Festive Attyre, though they are pale imitations of her amazing work. 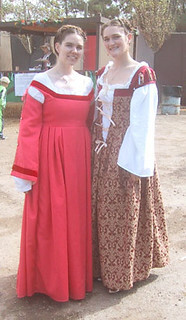 The first one is a Florentine dress of sorts made for my sister in late 2004. I thought I was all sorts of authentic, but again with the questionable construction choices. 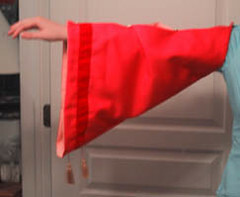 The fabric itself is 100% dead dinosaur and the guards are velvet polyester ribbon. Why? I don't even know. Anyway, here are some in progress pictures of attaching the guards. These pieces were then attached to the hemp boned lining, making this dress super hot. Literally, it's very toasty to wear. 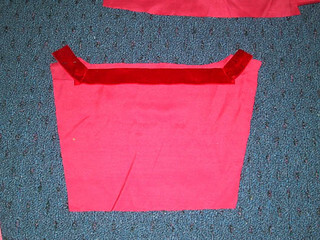 I made two sets of sleeves to be tied on, one bell shaped and one fitted. They were intended to be worn together, but I don't think my sister ever did because of the aforementioned heat issue. They were pretty cool though. 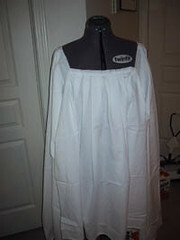 I also made a camicia out of cheap muslin from Joanns with red embroidery at the neckline. 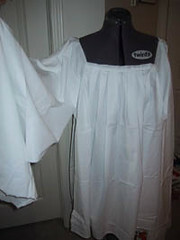 All machine sewn because that's how I used to roll. Anyway, here are finished pictures of dubious quality. 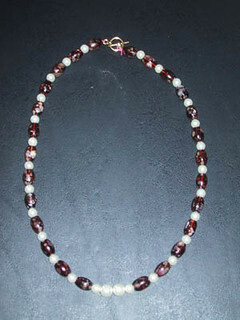 Oh, and I made a necklace! 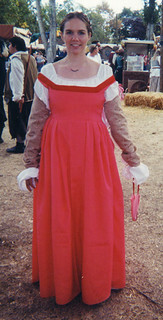 Finally, in 2005, I whipped up this Venetian dress for my sister's friend so that she and my sister could attend the faire together as Italian "cousins." 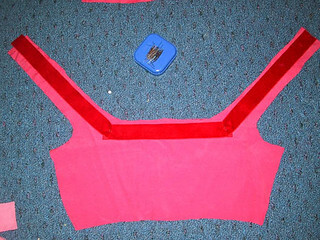 I made it so quickly there are no construction pictures - I literally made it in two days from discount brocade and quilting cotton purchased from Joanns. Yay? I learned a lot about fitting and construction between making the Cranach and these two gowns, but seriously, what did I have against natural fibers? 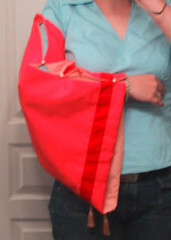 Also, it took a long time to get over my bag lining thing. Anyway, happy Thursday!